Log in to your Workiz account and go to your settings. 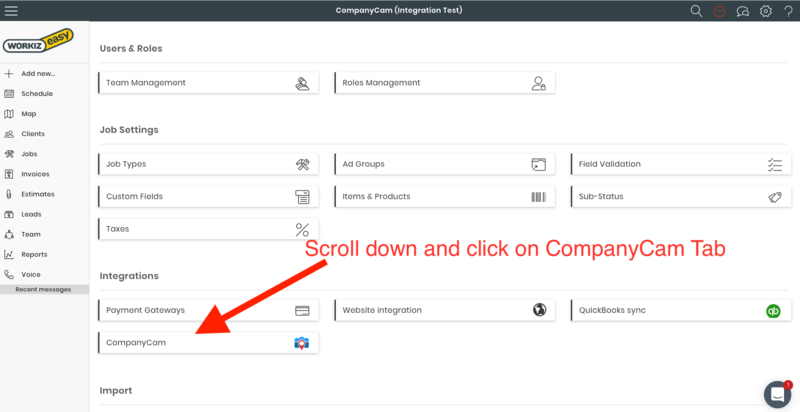 Once you click the button, it will ask you to confirm your CompanyCam account and you are now integrated! 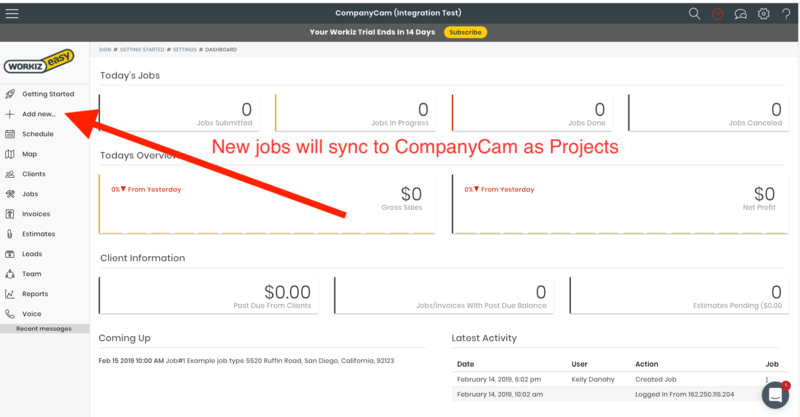 Your Workiz Jobs will sync over to CompanyCam as projects. CompanyCam will pull the address and the Workiz Job ID to create the project in CompanyCam. The photos you take in CompanyCam will then sync back to the Workiz job under the 'History' tab in the 'Attachments' section.